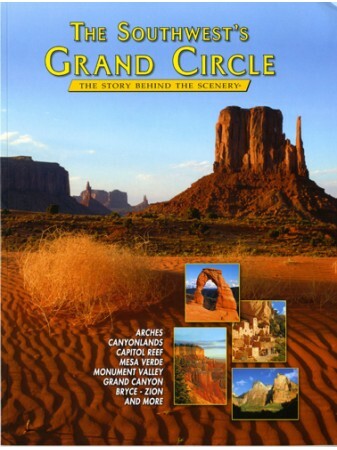 The Grand Circle encompasses three states: Arizona, Colorado and Utah. 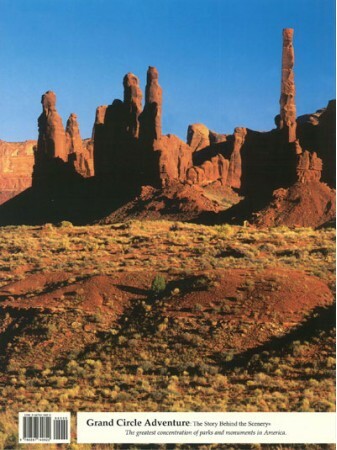 It also includes the Navajo Nation. 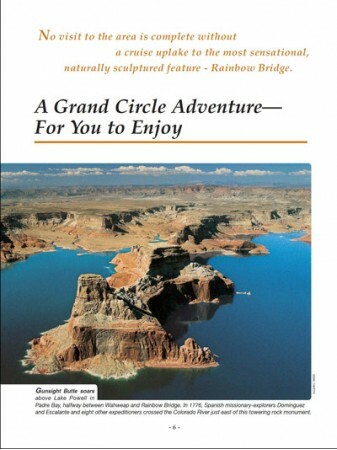 Within this travel adventure lies the greatest concentration of federal and state parks, recreation areas and tribal lands in America. 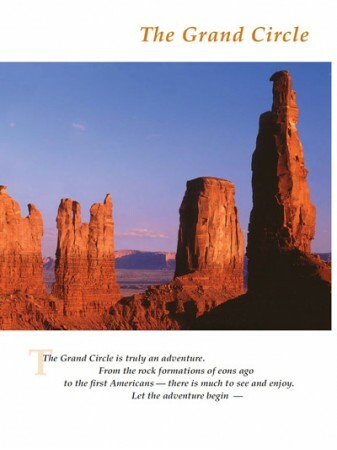 From the newest (around 53 million years old) icing on the geological layer cake at Bryce Canyon and Cedar Breaks to the 2-billion-year-old exposed rock at the bottom of the Grand Canyon, our circle tour touches four different bio-geographic zones. 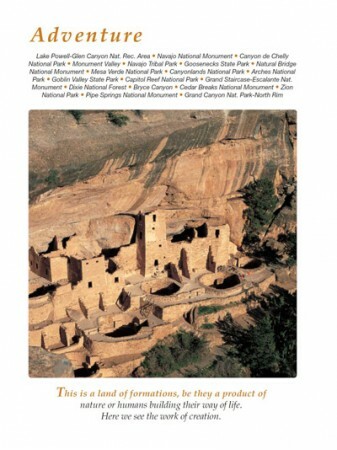 The span of these life zones reaches from the upper pine, spruce and aspen forests of Bryce, Kaibab, Cedar Mountain, Boulder Mountain and Mesa Verde down to the canyon bottom Sonoran zone as found in southern Arizona and northwestern Mexico. 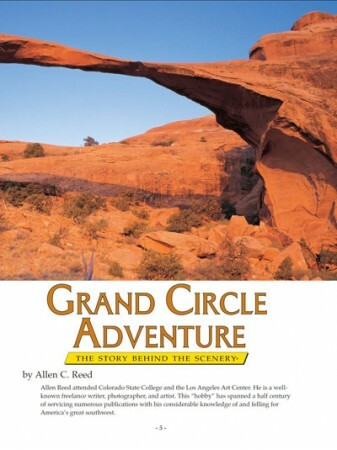 Through Grand Circle Adventure, the Story Behind the Scenery, you will explore the amazing 900 mile quest revealing the most spectacular landforms and vistas in America and, perhaps, the world. 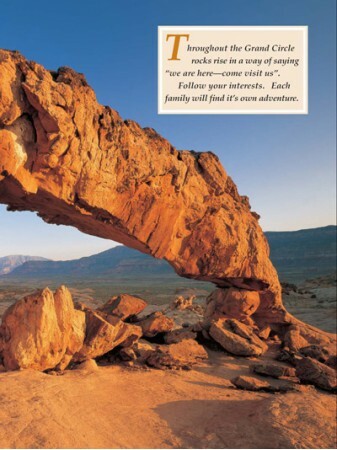 This book provide a truly inspirational and comprehensive personal tour, second only to actually being there yourself. 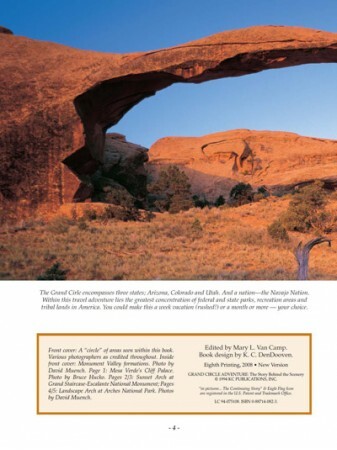 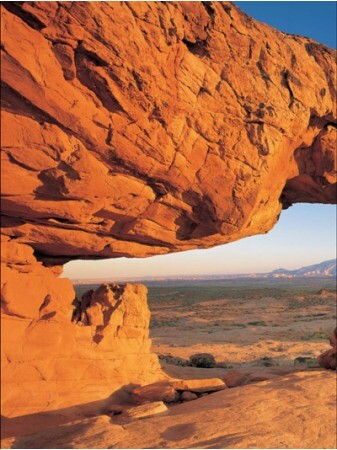 Arches - The Story Behind the Scenery by David W. Johnson Grain by grain, bit by bit, water and ..
Arches Book/DVD Combo - Arches The Story Behind the Scenery and Arches National Park DVD ABOUT TH..
Arches Book/ Blu-ray Combo - Arches book & Arches National Park Blu-ray ABOUT THE B..